The total length of a yellow ray is measured in the lab. Kate McClellan Press is a PhD student at the University of Massachusetts Amherst in the Intercampus Marine Science Graduate Program and a fellow with the UMass National Science Foundation IGERT Offshore Wind Energy Engineering, Environmental Science, and Policy Program. As offshore wind facilities are developed across the world, the potential environmental impacts of their construction and operation must be understood, and negative impacts mitigated. One question that arises is whether transmitting energy from the wind farms to shore has any environmental consequences, specifically for electrosensitive fishes. Elasmobranchs (or sharks, rays, and skates) are one such group of electrosensitive fishes. They use electric fields as their primary method for detecting prey at close range. Previous research has established that the electric field intensities created by offshore wind power transmission cables overlap with the fields some species of elasmobranchs are able to detect, but there is little known about how electric fields from cables may alter elasmobranch behavior. 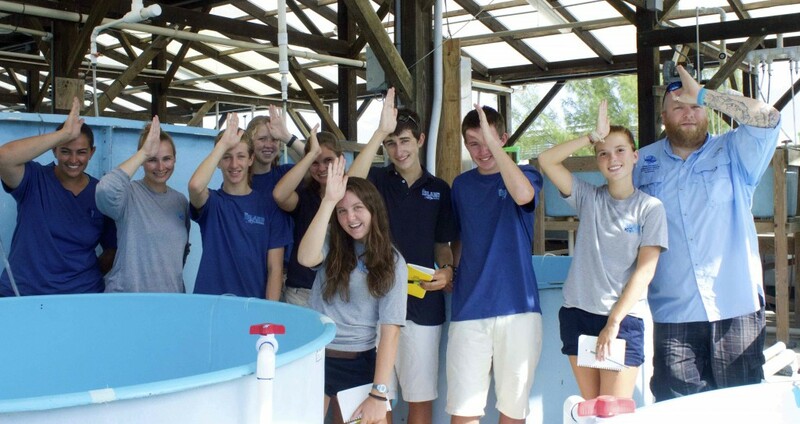 The Fall 2014 Elasmobranch Electrosensory class with advisors Kate McClellan Press (second from left) and Owen O’Shea (right). Kate is currently testing the electrosensory range of two commonly occurring elasmobranchs in South Eleuthera, lemon sharks (Negaprion brevirostris) and yellow rays (Urobatis jamaicensis). 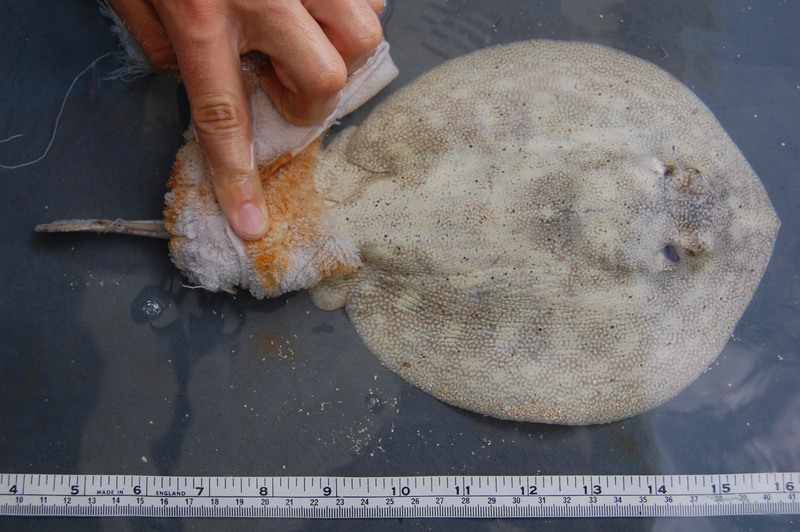 These species are highly abundant in coastal and nearshore marine environments and both rely on electrosensitivity for a range of critical life history behaviors. Kate is recording their behavioral responses to electric fields using a range of applied currents.